Like an adult, a minor must have a passport to travel abroad when it is required. So, getting a kid passport goes through the same steps as an adult. 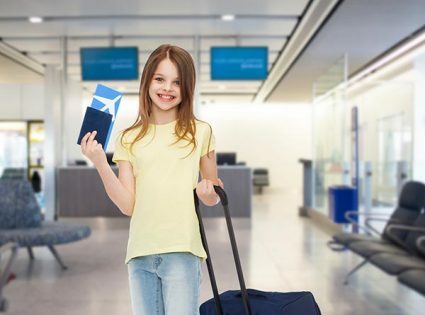 A how-to guide on getting a kid passport will provide the information every parent or legal guardian must have to prevent any delay in the process. Especially, if it is an emergency passport that is in need. A minor is a child 15 years or younger. Getting a passport for a minor requires at least one parent or guardian to sign the document on behalf of the child if the child cannot do so. However, both parents and guardians must be present to apply. When both cannot be present, then a notarized consent must be a part of the papers filed. There are specific and particular documents available to parents when applying for a minor passport. Each document is used under certain circumstances. However, the one document that is always used is Form DS-11 Application for a U.S. Passport. Other forms like DS-3053 Parental Consent Form or DS-5525 Non-Applying Parent Consent Form is used when a parent or guardian cannot be present to submit the minor’s passport application. Gather your supporting documents that will provide proof of citizenship and identity. Get two passport size photos by taking it at any convenient stores like Walgreens or CVS. Once you have collected all the documents and complete the necessary form or forms, you can choose from different acceptance facilities to apply for your minor’s passport. A parent or guardian must complete Form DS-11. Since a minor’s passport cannot be renewed, this form should be used every time an application is submitted for a minor’s passport. DS-11 Form is available online or at any acceptance facility. You can fill out the form online and print it. Do not sign the form until you submit it to the agent. If you got a form from a facility, complete it with a black ink pen. Do not sign it. Like Form DS-11, Form DS-3053 is available online to complete and print. You can also get a form from any passport acceptance location. The form should be completed by the absent parent giving consent for the minor to get a passport. When completing the form, it must be done in the presence of a notary and sign as well. A copy of a photo ID, front and back, of the absent parent, must be given with DS-3053. The form cannot be older than 90 days. If it is at the time of applying, it must be done again. The DS-5525 Form is used under the circumstance of the absent parent or guardian is not in the minor’s life. For example, if the missing parent is deceased, incarcerated, or nowhere to be found, then it falls under exigent or unique family circumstances. With the form, other documents like court orders, police reports, or a death certificate can be used as evidence of an absent parent or guardian. There are many acceptance agencies to submit a passport application. The locate facilities can be a post office, county clerk’s office, courthouse, or the public library. All these acceptance facilities only have two options for processing, routine or expedited. 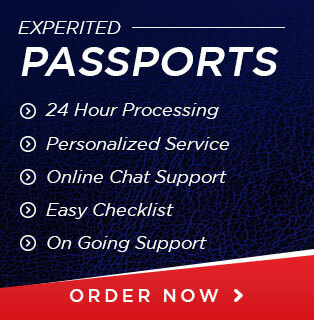 With routine, it takes 4 to 8 weeks for the process to complete and you get the passport in the mail. Expedited, however, takes 2 to 3 weeks before it comes in the mail. With expedited, you must provide proof of travel and pay the extra fee of $60.00. There are two other options to submit a passport application. The two possibilities can process the application quicker but cost way more. They are mainly used to get an emergency or same day passport. The first is a regional passport agency. A regional agency requires you get an appointment by calling the National Passport Information Center. An appointment will get you a meeting to submit your papers in person. Once your application is accepted, a passport will be issued the same day. The next is a private expeditor. An expeditor does not require an appointment and will accept an application by mail. If you express your package by using overnight delivery, it will be processed the same day it is received. If the form gets cleared, the available passport will be sent back by overnight delivery. You will be responsible for the cost of mailing your documents. An expeditor also offers different processing times. If your trip is within two weeks, you will have the option to select which processing time is best for you. The cost will vary, but in the end, you will have a new passport. The process of getting a kid passport is a bit more than getting an adult passport. The different forms are used as precautions to protect a minor form any complications that may result from parental disputes. Without the proper forms or documents, a minor passport will not be issued by the State Department. It is best to get all the necessary documents before you apply. By doing so, you will prevent any delay in acquiring you kid passport.